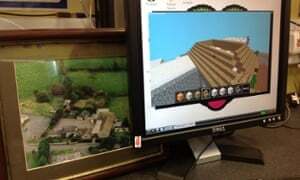 Excited shouts of “left, left, left”, “knock down that tree” or “pick up that stone” can only mean one thing: your students have discovered the virtual world ofMinecraft. Since its launch in 2011, children and adults worldwide have spent hours creating unique environments. The video game generates a blank landscape of different terrains that players explore. They construct buildings, mine for useful materials and, depending on what mode you’re in, may have to defend yourself from attacks or stave off hunger. An education version of the game, MinecraftEdu, has now made its way into schools. In 2013, one Swedish school made the game a compulsory part of its curriculum. Now the government in Northern Ireland is providing funding for the game to be rolled out in all secondary schools by June 2015. We took to Twitter to find out how teachers are using Minecraft. From history to languages, and coding to renewable energy, here are some fun ideas from our community.